raw foods? We’re going to take a look at these drinks and some different ways they show up, we’ll look at their advantages and some disadvantages to using them. And see through all of that information if they are better than real raw foods, just as good, or just what they sound like; a supplement to our diets. 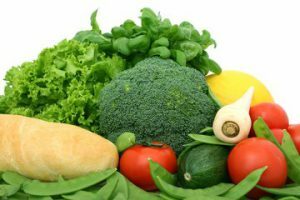 According to the food pyramid, it’s necessary to get 3-5 servings of vegetables per day. Many of the diet/ nutritionists that I follow recommend two pounds of vegetables a day for optimum health. If you make it a goal to stick to a rainbow of colors each day in the recommended servings, you should get the nutrition you need. But many people have a hard time getting that amount of vegetables per day. Everyone is so busy in today’s world, and I am the first person to admit that I have reached for a bag of cheezits when I’m in a hurry before grabbing a stick of celery. It just seemed to be more useful at preventing hunger than the celery. Not to mention you have to clean celery and I can’t eat the ends, I have to cut them off. You get the idea. There’s always food prep to prevent those issues, but I think that’s best saved for its own blog. Superfood supplements popped up because of these very real, very common issues of fitting those servings of vegetables into our lives. And I included real in the title for a reason. You can look at supplements as if they are not real food. However if you buy the right kind, they are real and can be useful in aiding your everyday health. If used correctly. Your decision on what to look for in these supplements depend a lot on what you are looking to gain from them. However there are certain things about how they are processed, what they contain, and certifications that you need to know before you can decide what exactly you need. I like to look for a product that is certified organic. A vegan would want something that is labeled for vegans. Many, including myself also look to make sure it is gluten free. I don’t have a gluten sensitivity, but I feel like that is healthier for my body. Unfortunately these requirements often mean the price tag will be higher. But there are ways to mitigate the higher prices. The ingredients are also important. The main ones that I found are the green, red and yellow drinks. Each, serve a different purpose. 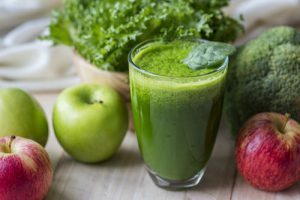 Green drinks seem to be the most popular and are advertised to serve as a daily detoxifier, while giving you your greens as well. Reds help to give you energy, while raising your metabolism. Turmeric based supplement powder drinks are purported to help with memory and sleep quality. Be aware though, the curcumin, in turmeric, is reported not to be absorbed well by your body, so you want to look for those that are paired with black pepper or piperin, the compound in black pepper that helps your body absorb the curcumin better. Many of these drinks come with prebiotic, probiotics, and added digestive enzymes. You can take into consideration what your dietary needs are based on your health and decide if you need these added ingredients. In my research and from my own doctor’s recommendation probiotics are best if they are refrigerated. Many of the supplement powders I’ve tried that have them, do not require refrigeration. So I would probably opt to take a separate probiotic supplement if I’m not getting enough from my diet. Some have added sugar, added emulsifiers, and even metals that you do not want in your diet, especially if the whole purpose is to be healthier. 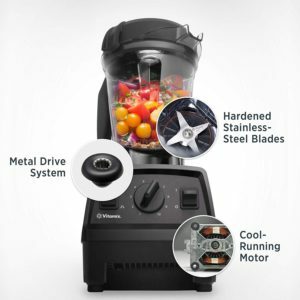 The method used to process the raw food into a powdered drink is important as well. There are a couple of different ways, but the main thing to remember is if more heat is used, more nutrients are lost. There is freeze drying, drying the food and grinding it into powder and some companies process the foods from the juice of the plant, a process called cold pressing. Through my research, I found most found the cold press method to be the best at preserving nutrients, with gently freeze drying coming in as popular as well. I’ve hinted at one of the biggest advantages to these supplements, and that is convenience. Not only are they easy to put in a cup with water at the very least, but they travel well. They have a longer shelf life than real raw vegetables, and give you the advantage of adding harder to find ingredients to your diet. They are more concentrated than raw vegetables, and adding enough vegetables to your diet decreases the acidity of your body. They add a more marked rise in energy for your day, and they are easily absorbed. Which unfortunately serves as a disadvantage as well. To carry on from the previous discussion about the advantages of the supplements, it would seem that being easily absorbed would be solely an advantage. It would just make life easier on your digestive system. However, in digesting food your body uses energy, something called the thermic effect of food. Some foods have a higher thermic effect than others. The powder supplements, being easier to digest, would then have a lower thermic effect. Which means that your body doesn’t use as much energy, and your metabolism doesn’t get as good of a chance to go up! In addition to the lower thermic effect of these drinks also don’t give us the advantage of chewing. What in the world do I mean by that? Well chewing our food is the first way our bodies get ready to digest food properly. So if we don’t have that then the digestion process will be a lot less efficient! And then there is always the fact that eating the real thing just is much more enjoyable! Yes the whole foods that you eat are better than eating the superfood supplements. 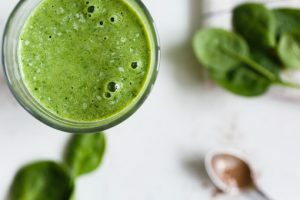 However with how busy everyone is today and with how hard it is to get the right amount of vegetables in your diets, supplement drinks do serve a very important purpose; to supplement the nutrients you may be lacking. And whether you pick red, green, yellow or some other color, you want to make sure it fits your specific needs, that you are getting a doctor’s advice to make sure you’re getting what you need, and to remember that these drink powders are not regulated by the FDA. So you want to make sure you know that you are getting exactly what you need, and NOT getting what you absolutely don’t want in order to get all the advantages of these supplements. And if you do that hopefully you will enjoy those wonderful benefits like I did. When I started using them I had more energy, better sleep, and fewer problems with my memory. Which the latter my kids totally appreciated! I’m so glad my information helped Vicki! It was hard writing and adding the pictures! It made me hungry! Good luck to you! Hi Stacie, Very interesting information on superfood drinks, and, as an alternative and for convenience, seem to be a good substitute for the real thing, which are the real veggies, But, I agree with you, it’s still much better to consume the actual veggies for health benefits. Thanks for your comment too on my article. Thank you so much for your input Terry! And it is no problem! I enjoyed it!